Machine data in the cloud? Never! This statement, often heard in the 2010s, sounds quite outdated today. It is increasingly being refuted by companies that have discovered the benefits of the cloud for industrial appliances. But back to the beginning: Why have we heard this statement so often? Back then, we went to market with a device that was previously developed with a single goal in mind: The simple transfer of data from brownfield machines and plants directly into the cloud (more information at www.cloudplug.info). Machine learning-based process control? Never! So, why do we face all the disbelief once again? We designed and built the CloudPlug edge with the goal to close the feedback and control loops in the field. Unlike in industry today, we achieve the declared goal on the bases of cloud, edge applications, machine learning, by crunching mass data from machines and sensors, letting machines learn to act. We see ourselves as one of the leaders on the next wave of digitization in industry. But… ML to control industrial processes, you can’t do that. We did. It worked. We do and will! With CloudPlug edge. To better understand why we built the CloudPlug edge, it makes sense to go back in time a little bit. When we started using CloudPlug at our customers‘ sites to gather machine data and making them accessible on the cloud level, there was not always something like a use case with a proven return on invest. Instead, we believed in the value of data. Some years and thousands of globally deployed CloudPlugs later, the answer is: (Machine) Data is more valuable than we thought it would. we took it all together to build what enables the next step in that journey. The result is a flexible industrial edge device that supports both novel IT and data-driven industrial use cases as well as proven scenarios such as machine data collection and preprocessing on the edge in industrial environments. The basic prerequisite for the success of CloudPlug edge is the ability to support a variety of communication standards and protocols from the areas like industrial and building automation, energy supply and smart home such as OPC-UA, EtherCAT, CAN, CANopen, Siemens S7, Modbus, BACnet, a.s.o. CloudPlug edge comes with built-in support for Ethernet-based communication, RS485, CAN, eight analog-digital I/Os, USB 2.0, USB C.
Another prerequisite for IIoT devices is the connectivity to the internet. CloudPlug edge comes with built-in support for wired connection (2 Ethernet ports), WIFI and GSM. On the communication side, it comes with HTTPS for streaming mass data to the cloud and MQTT. CloudPlug edge is built for industrial use cases. Applications based on machine data can be executed flexibly on site (on the edge) or on the cloud level. The user decides, and at the same time receives full control over all stages of the deployment process. This is made possible by an environment for flexible handling of encapsulated (containerized) applications. Devices and applications are managed centrally via the cloud to control your global fleet of devices. Daily usage in applications that are not allowed to have unplanned downtimes brings requirements like full control over all aspects of an operation, so as well for IIoT applications. CloudPlug edge enables customers to take full control, in a secure manner. CloudPlug edge receives OTA updates. Operation decides when to deploy, globally, staged, with single device granularity, over the cloud. Management of applications on the edge is as well crucial. When to deploy which version of which application to which device and how to revoke… you take control. More common applications are easily obtainable via container store. When it comes to the security of IIoT, you can’t do compromises. So, SOTEC CloudPlug edge does not negotiate. Communication to the cloud is encrypted and every cloud plug is uniquely identifiable. An onboard chip with a baked-in private key ensures forgery-proof, unambiguous identification ex works. A secure boot mechanism ensures that the system cannot be compromised via a hardware break-in after deployment. Zero-touch provisioning secures and simplifies the initial authentication process of the devices after the worldwide rollout in the application area. 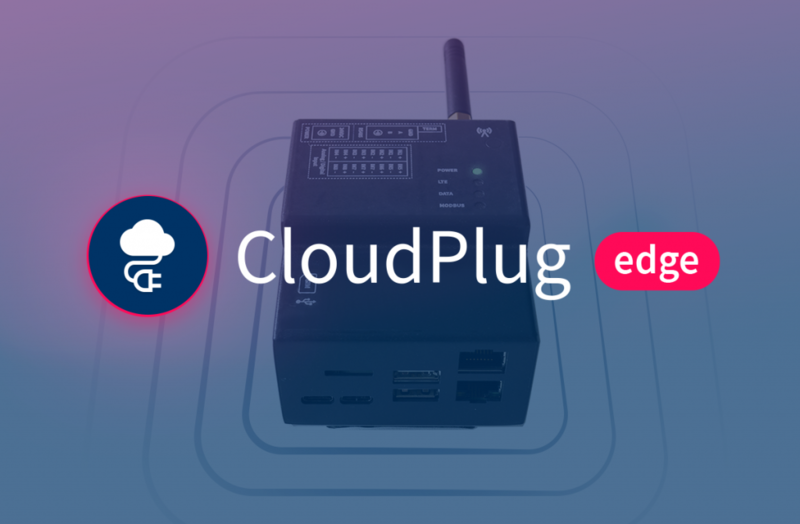 For global fleet/device management and connectivity security, CloudPlug edge relies on Google’s IoT Core Framework and is therefore fully MQTT and Google Cloud Platform compliant. Another aspect that is neglected in the IIoT area is the availability with corresponding latency for the application, a critical requirement in many industrial areas. The same topic is the robustness against connection break downs. Even today, completely cloud-based solutions are often not to be found in productive areas of industry, unless an availability and latency guarantee is given. Edge devices, therefore, have a special role to play, since they make it possible to meet the corresponding requirements for applications on site. An application running on an edge device in the immediate vicinity of the relevant process still works reliably and securely in the event of connection or latency problems towards the cloud. For this, we incorporated edge functionality on the CloudPlug edge. This means, customers can deploy applications to the device, that rely on performance and un-interrupted execution. Applications are deployed in containers. For this, CloudPlug edge goes with Docker containers as the de-facto standard for containers. One version of CloudPlug comes with hardware ML inference support. This means pre-trained machine learning models can be deployed to the device and deliver results in milliseconds. This is possible because we integrated Googles Edge TPU, therefore, we call it CloudPlug edge+. On top of Google AutoML, SOTEC has built a comprehensive workflow for the simple training, management and on-the-edge deployment of ML models. With it, customers are able to realize ML-based applications fast, reliably and without deep knowledge in AI/Machine learning. On the other side, CloudPlug edge+ brings ML experts necessary ML-on-the-edge support in for their use cases in the field. The characteristics of ML-on-the-edge, fast pattern recognition and reaction is also a typical description of machine control tasks. Contrary to the widespread belief that machine control by means of trained models is still science fiction, CloudPlug edge+ and our corresponding infrastructure for the analysis and training of machine data have shown success in this area. The vision of driving a process constantly in its dynamic operating optimum is thus becoming more and more real. Topics such as predictive maintenance, energy consumption or product quality are just some of the parameters that need to be taken into consideration in order to achieve an overall optimum. We believe, with CloudPlug edge+, the time has come to go forward. Are you curious about IIoT, edge and ML but not planning to start with the fanciest stuff? We are happy to discuss other exciting topics with you. How about machine learning support on-the-edge? This is also very suitable for improving and automating quality control processes. Tell us what your ML/IIoT case is. Or come to our booth C18 in hall 6, see #CloudPlugEdge and discuss #IndustrialML, #MLonTheEdge, #CloseControlLoopWithML and #YourIIoTCase with us.